I have tried several times to write a story to post on our board, but due to difficulties of using Clubrunner, I will post on our Facebook page for all interested ! On discussion with members, it was felt that we should be hosting more “bricks and mortar” meetings. 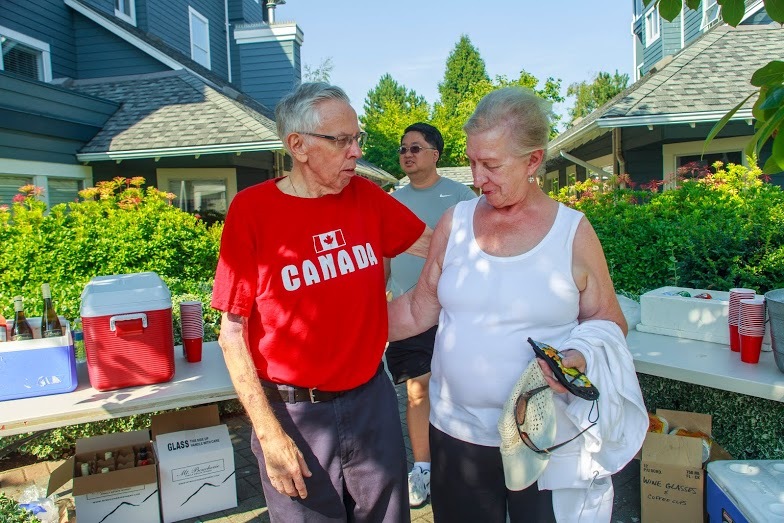 While members are engaged in various causes and events in the community, the Rotary e-Club of Lulu Island should be physically meeting more often. Therefore, for the balance of 2017, we will be meeting on the third Wednesday of each month, and two members will “host” the meeting. The Hosts will advise the venue, agenda and activities of that meeting. October 18 Hosted by Dale and ? 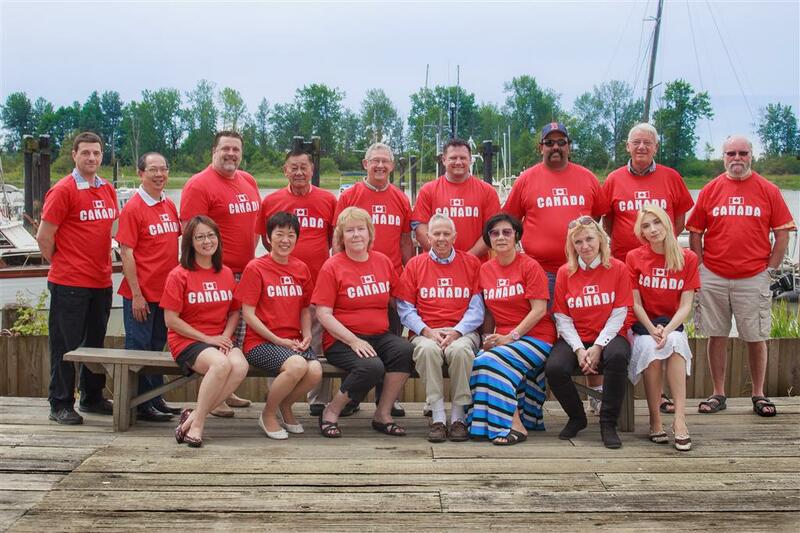 District 5070 hosted an online meeting across Canada on Wednesday, September 27th. Interested parties could log onto their site from 5PM Pacific (6PM Mountain, etc.) to join the discussion. -is dedicated to improving access to education for young women from ages 13 through 18 years old. These women come from low-income families in remote, mountain communities of the Sacred Valley. This project provides safe and nurturing accommodations, educational resources, and nutritious meals for these young women so that they may continue their secondary education and become knowledgeable and empowered women. The Sacred Valley Project requests educational and medical supplies. In Peru, families are responsible for supplying books and pencils and bags for their children, and so in many larger families, there is not enough for the younger children or the girls to go to school. The easiest way to get educational supplies is to purchase them in the larger cities. It was discussed and decided to send USD$200 with Kevin to purchase supplies in Cusco and donate the the Sacred Valley Project. Tony suggested we make Rotary e-Club of Lulu Island vests for members to wear at events. It was discussed and decided that a three-season vest would be nice to have. Tony will look at purchasing and bring samples to the next meeting. It was suggested that everyone look at the upper right corner of the home page in the Member Login. Everyone has a Log-in name and Password assigned (please see Eric or Kevin). Members should log in and change their Password to a more secure and easily-remembered one ! Anyone can post to the website and add events or requests for help. 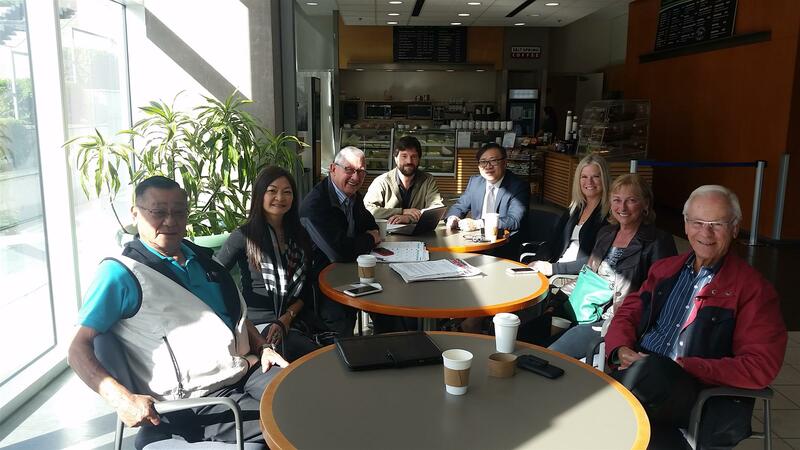 You and the members of your Rotary club are invited to the Rotary Day of Dialogue in Vancouver on November 21, 2015. I have attached an information flyer and the draft agenda. WHAT IS IT? The Rotary Day of Dialogue is a unique opportunity for Rotarians to come together and share ideas on how to grow membership, increase service and expand knowledge of Rotary. There will be no presentations or lectures. Each Initiator will speak for 5 minutes to challenge the audience. There will then be 30 minutes of discussion and sharing of ideas under the coordination of a moderator. This is an open invitation from the Sunrise Rotary to all of our members. REMINDER -- about our Open invitation to Sunrise Rotary Thirsty Thursday - tomorrow night - October 15. We have this event as a joint social for all our Rotary friends &&&& their friends once a month. WHEN. 3rd Thursday every month. ******PLEASE forward to your club. Further to earlier, the Rotary E-Club of Lulu Island will be holding a fundraiser on January 23rd to support the Kharkov Hospice in the Ukraine. The hospice was founded by Deacon Vitaiy Ekzarkhov, and he is also the head doctor. The facility is older, with minimal services and a shortage of modern medicines. 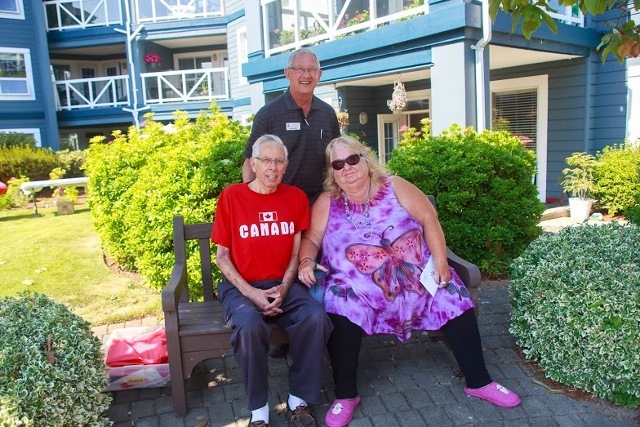 The Rotary E-Club of Lulu Island will be fundraising to help support the purchase of medicine for the hospice. 50/50 draw and Silent Auction with many original Ukrainian crafts and articles. 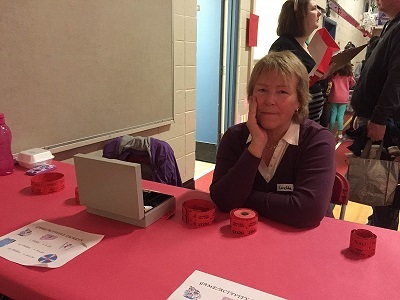 The Rotary E-Club of Lulu Island will be holding a fundraiser for a Hospice in the Ukraine. ​Pasta, salad and beverage with door prizes, 50/50 and Silent Auction. Please see Bill McNulty for tickets. 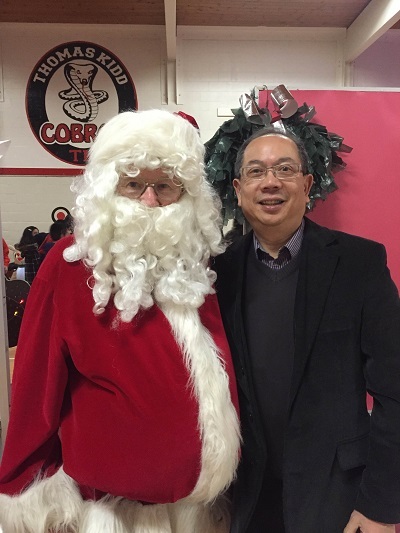 Thanks to Rotary members Loretta and Alan for helping out at the Thomas Kidd Christmas Carnival ! Jeremy was my neighbour's nephew. Jeremy's Father is still in jail. The Foundation provides pajamas and Teddy Bears for the children of women who escape domestic violence to the crisis centres. They assist with providing counseling for both the Mothers and the children, as well as education aimed at abuse prevention, amongst other support avenues. 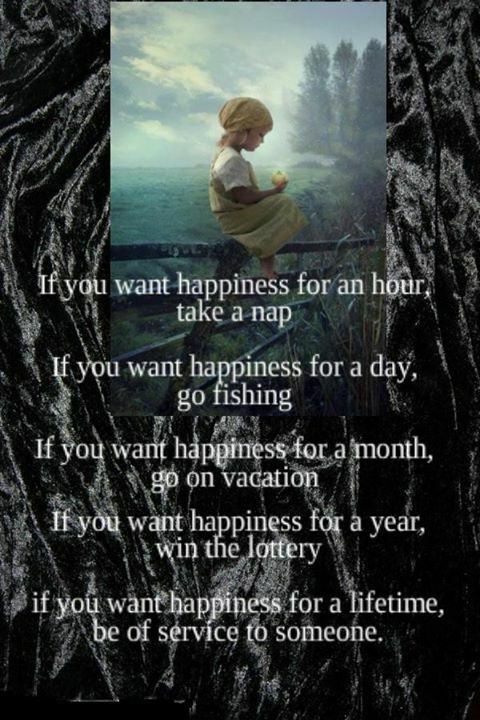 It is a good cause and, in my opinion, fits with our goals nicely. I'd like to hear that you agree. 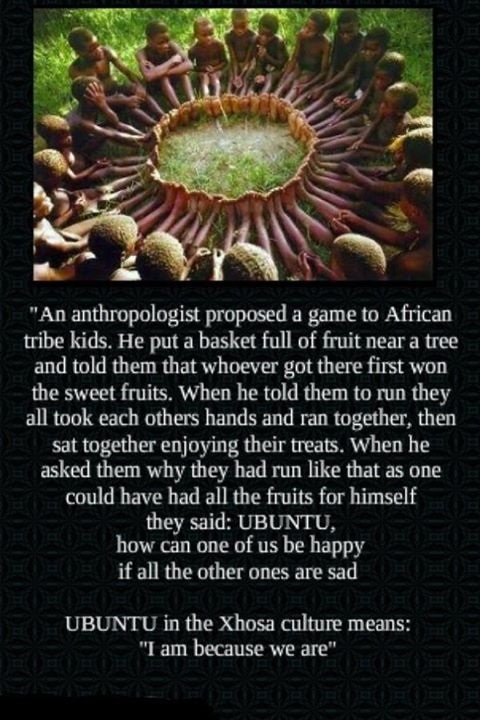 The injustices and inequalities we walk past are the ones we accept. 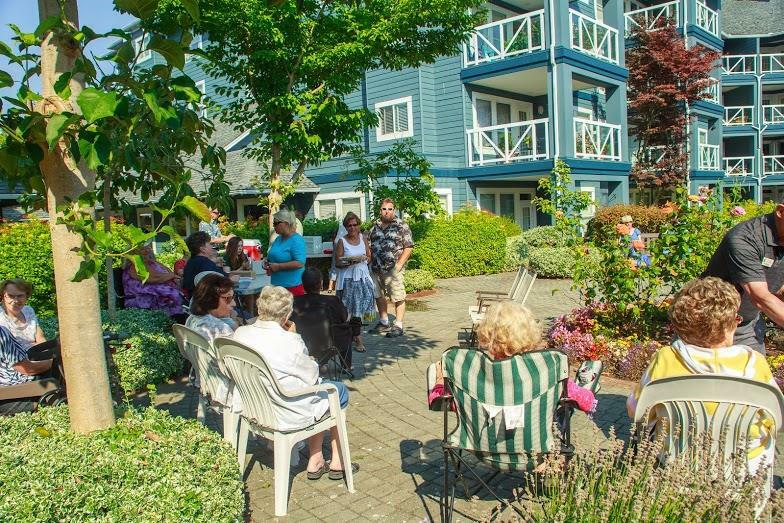 Once again, the Rotary E-Club of Lulu Island was invited to help out at the Britannia Apartments community BBQ. Proteins supplied by M&M Meat Francis Rd. 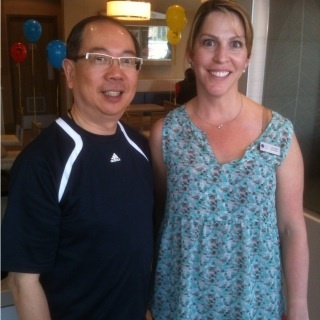 72 burgers, 48 chicken burgers, 60 hot dogs served, and fun time had by all ! 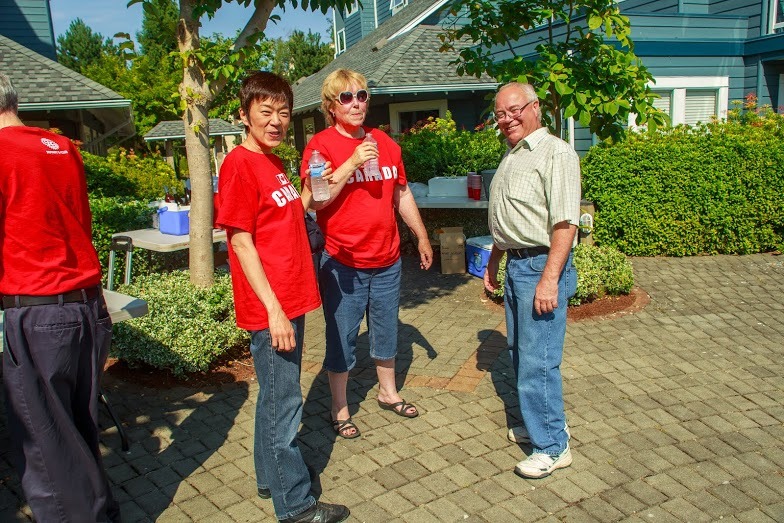 The Rotary E-Club of Lulu Island wrap up bbq was held on a sunny Sunday, June 22nd. 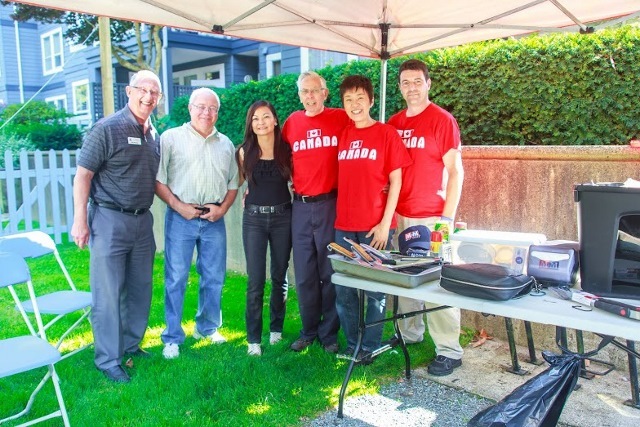 BBQ fare served by M&M Meat Shops on Francis (Rotarian Jason Davidson), and all received a great O Canada T-shirt with Rotary E-Club insignia from Rotarian Bob ! General discussion on the past year, introduction of new members, and hopes for the approaching year were discussed. It's time for a get-together! Please save the date - June 22nd - evening - Britannia Shipyards. A fun time of BBQ and fellowship. More details soon. Our E-Rotary is growing! Welcome to our newest members! We have two new Rotarians in our Club. Please join with me and welcome Marisa Achtymichuk and Iryna Vodchenko. Both have extensive volunteer experience in Richmond and will fit in with our objectives. Great to have them aboard. We now sit at 36 members. A social is being planned for June at the Bunkhouse. Stay tumed. Thanks to the efforts of many Rotary E-Club members volunteering (and eating ! 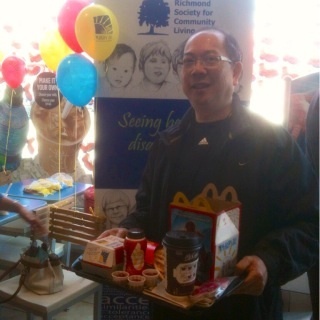 ), nearly $7,500 was raised for the Richmond Society for Community Living. 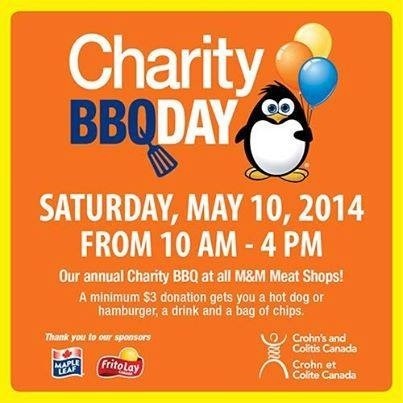 Fellow Rotarian Jason Davidson, M&M Meat Shops Richmond Francis ( & Gilbert) holding their Annual Charity BBQ Day to support Crohn's & Colitis research. 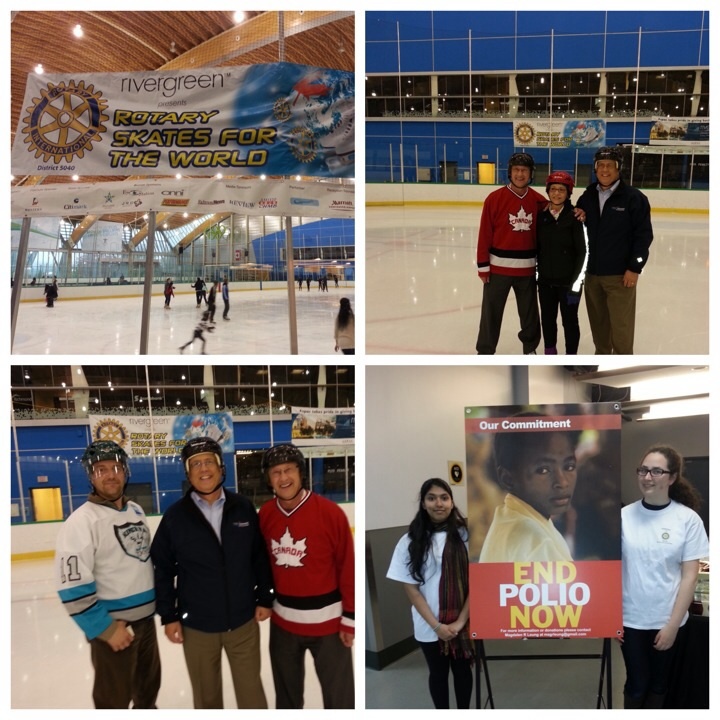 Further to Rotary's mission to eradicate polio, there was a Rotary Skates for the World fundraiser event at the Oval. 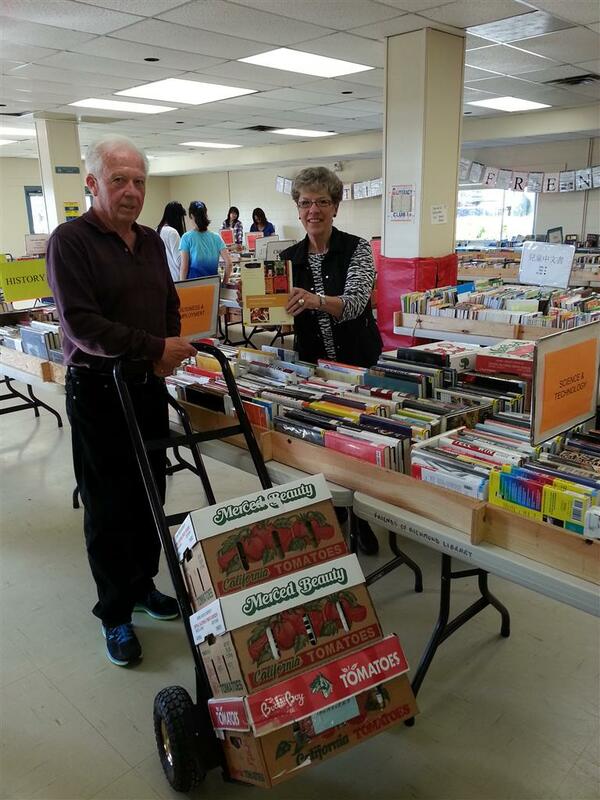 Big thanks to all the members from Rotary E-Club of Lulu Island who helped out with the Friends of the Library's Whale of a Book Sale. 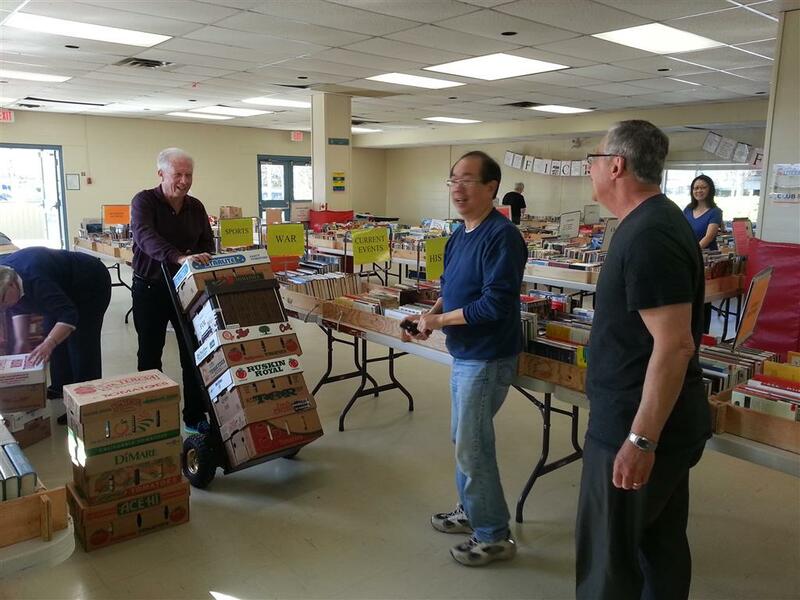 We sold over 800 boxes of books and raised more than $10,000.00! It was a great weekend. See you all again in October. 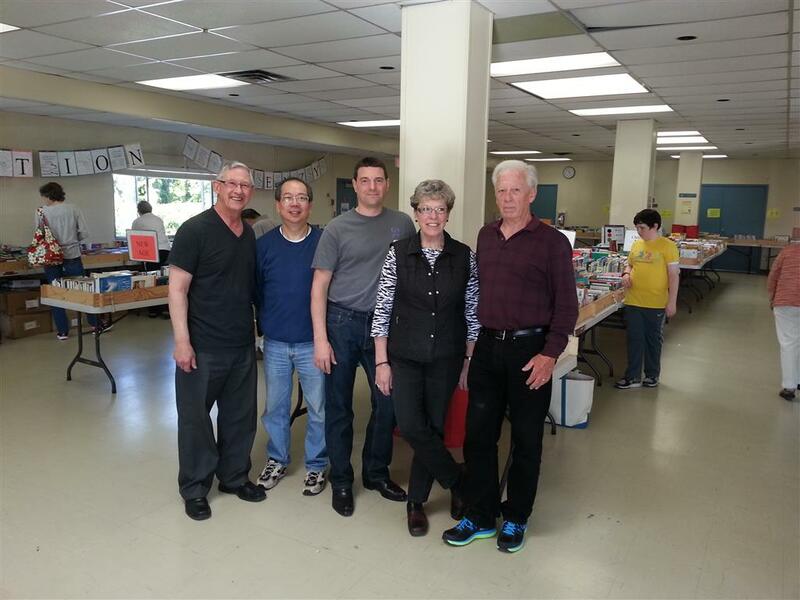 On April 11th, several Rotary members were on hand to set up for the Friends of the Library Whale of a Book Sale at Thompson Community Centre. 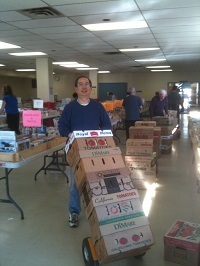 The sale ran Saturday and Sunday, and more Rotary members came on Sunday afternoon to take down, and move books around. 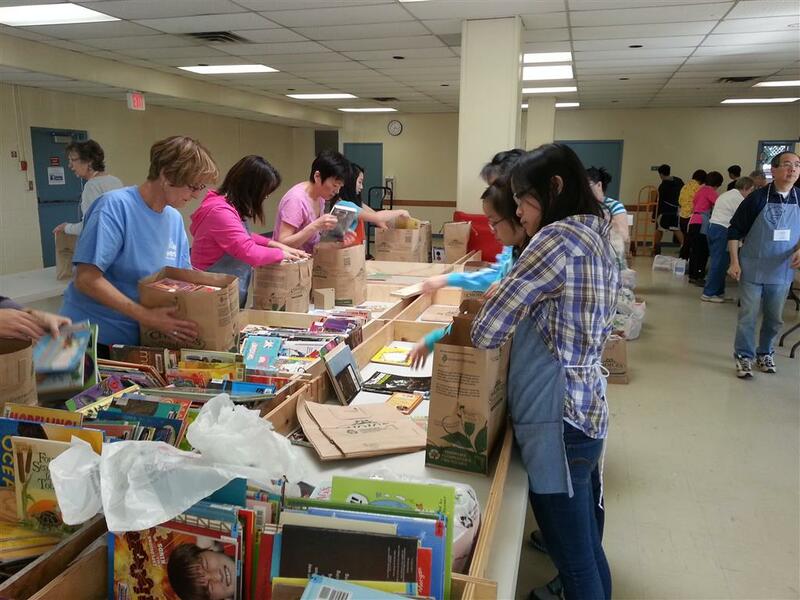 Over 1,200 boxes of books were donated and collected, with over half being sold, re-purposed to other community groups, and the balance taken to recycling. “Everybody can be great...because anybody can serve. Our Meeting of March 5th, 2014. 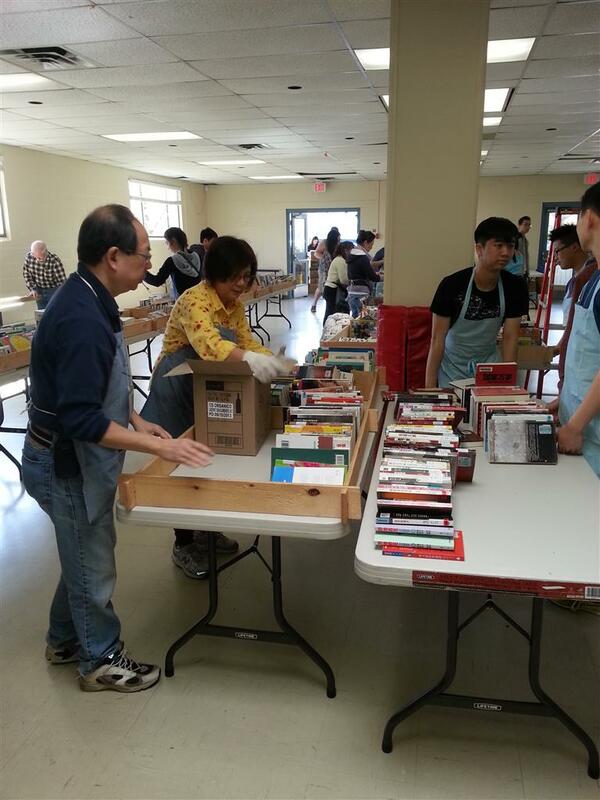 Library Book Sale, April 11, 12, 13. Set up Friday the 11 at 1pm. Help is Needed. Please contact Bill McNulty. Take down at 3pm Sunday April 13. Help is Needed. Take books to your favorite Charity or group to spread literacy. An update from Rotary International about the upcoming convention in Sydney, Australia. A chance to learn more about fellow Rotarians in our Rotary E-Club of Lulu Island. 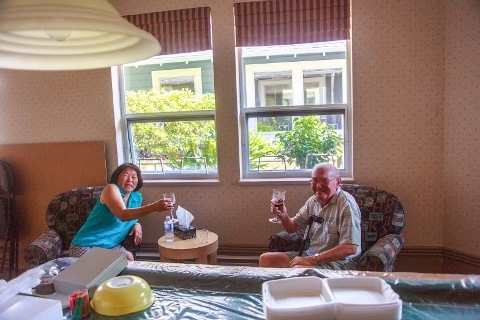 Rotary E-Club of Lulu Island is on Facebook !